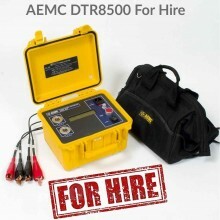 Includes: Output lead set & carry case, mains lead, neutral link, spare fuse set, operating manual, USB flash memory key, USB keyboard. 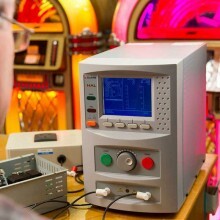 The T&R KV5-100 mk2 high voltage test set is a general purpose test instrument designed for testing insulation systems and the measurement of breakdown voltage on electrical plant and components. 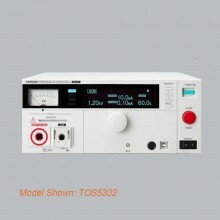 The unit has an output voltage adjustable from zero to 5kV with accurate metering on both the output voltage and current. 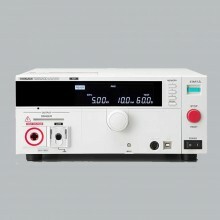 A zero-voltage interlock is provided, ensuring that the output may only be energised with the voltage control at zero. 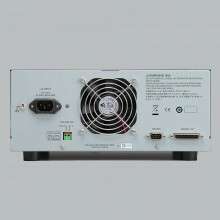 The output voltage of the KV5-100 is metered by a large, linear analogue instrument with a dual-scale marking of 0-3kV and 0-6kV. 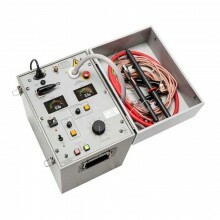 Load current is metered by a second analogue instrument with 0-10 scale marking. 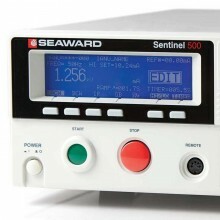 Two current ranges are selectable: 0-10mA and 0-100mA. 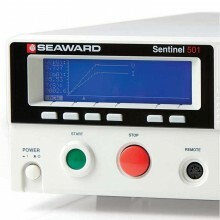 The test object and output are protected by an adjustable current trip linked to the current metering range. 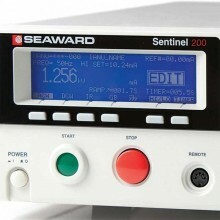 The trip level may be set to 20-120% of the current metering range on 20% steps. 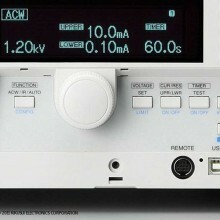 Breakdown of the test object is both audibly and visibly indicated by the T&R KV5-100. 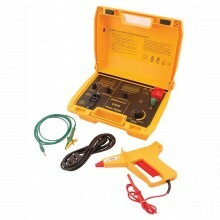 The alarm must be manually reset after a trip condition before testing can be resumed. 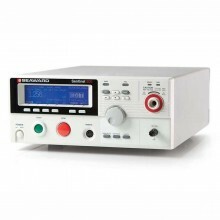 Continuously variable output voltage 0-5kVac. 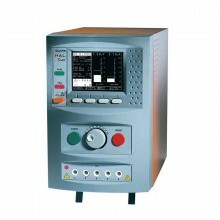 Complies with the testing requirements of BS1363. 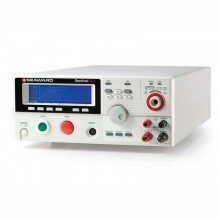 Output Range Variable from 0 to 5 kV AC. 100 mA for 5 minutes followed by off time of 15 minutes. Trip Current User-selectable from 2 mA and 120 mA. Trip Condition Indicated by illuminated push button and audible alarm. 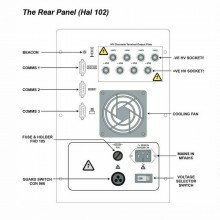 Approx 2 A (Out of circuit). 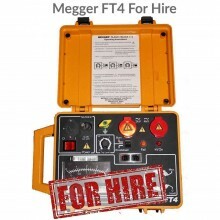 Designed to be operated in conjunction with an interlocked test enclosure. 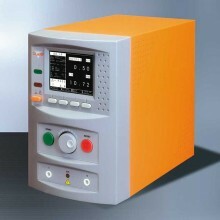 Type Zero interlock that prevents the output being energised unless the output control is in the zero position. 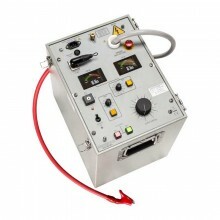 Also includes external interlock connection, allowing the fitting of external emergency off buttons and test enclosure/cage door interlocks. 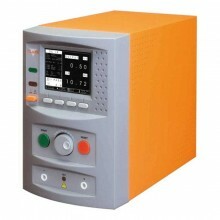 Range 115 V ±10% 50/60 Hz 1ph 600 VA max. 240 V ±10% 50/60 Hz 1ph 600 V max. 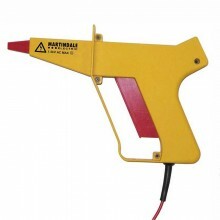 Storage Temperature -20 to 60° C.
Operating Temperature 0 to 45° C.
Dimensions 364 x 147 x 262mm. 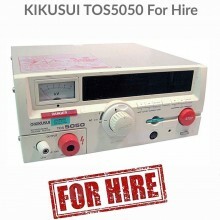 T&R KV5-100 Mk2 warranty 1 year. 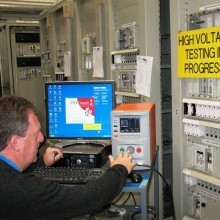 PDF Specifications of the T&R KV5-100 Mk2 High Voltage AC Test System.